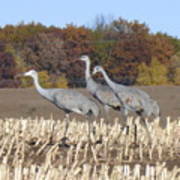 On The March . 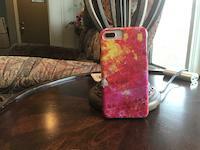 . . iphone x case by Barbara Ebeling. Protect your iPhone X with an impact-resistant, slim-profile, hard-shell case. The image is printed directly onto the case and wrapped around the edges for a beautiful presentation. Simply snap the case onto your iPhone X for instant protection and direct access to all of the phone's features! Thank You so very much Randy. I appreciate the support! 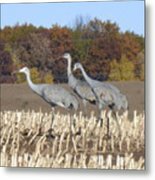 I was visiting my Mom in Seymour, Wisconsin and decided to go up to my niece's place in near Bonduel when I came across a huge flock of Sandhill Cranes. 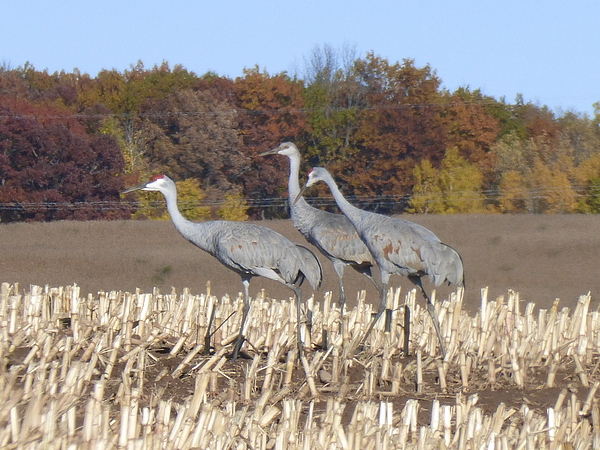 These three had separated themselves from the rest and were were focused on heading somewhere. They were gorgeous! 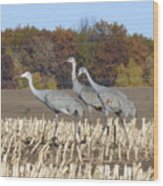 The strange thing is that when I was a kid we never saw Sandhill Cranes ever! It is amazing to see them everywhere now!